You can have a beautiful, straight smile in months, rather than years, with our accelerated orthodontics treatment. If your teeth need straightening, but you simply can’t bear the thought of spending years in traditional braces, accelerated orthodontics may be an option for you. Dr. Weingarden and Dr. Bakuri are pleased to offer a new concept in orthodontic treatment, accelerated orthodontics that can effectively straighten your teeth in 3-8 months, rather than years. Traditional methods of straightening teeth involve moving the actual teeth only. Accelerated orthodontics uses a technique where Dr. Weingarden or Dr. Bakuri will gently create vertical grooves in the gums and outer edge of bone between your teeth. The purpose of this procedure is to allow the gums and bone to move along with the teeth, resulting in faster teeth straightening. Our doctors have both achieved certification in accelerated orthodontics treatment. They also continue to expand their knowledge and hone their skills with continuing education courses related to this procedure, so that they can provide you with the most up-to-date, comprehensive and reliable treatment possible. Accelerated orthodontics can be completed for an entire arch, both arches or just a few teeth depending on the needed outcome. With accelerated orthodontics, the time you spend wearing braces can be cut in half. Dr. Weingarden and Dr. Bakuri collaborate with an experienced orthodontist to determine whether accelerated orthodontics is the most beneficial treatment plan for you. 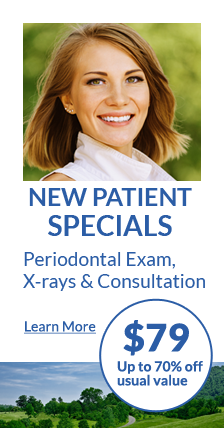 Your initial consultation will include a review of your medical and dental records and a thorough oral examination. Our doctors will carefully explain the procedure in terms that are familiar to you. Please ask as many questions as you would like; we will be more than happy to answer them all. Our team takes the time to get to know you and to understand your goals and expectations. Your orthodontist will place your braces, and about a week later, Dr. Bakuri or Dr. Weingarden will perform the minor surgery in our comfortable office. Our doctors use the high-tech CT scanner to precisely locate areas in your mouth needing treatment. We will capture highly detailed, three-dimensional views of your jawbone, teeth and gums to locate areas that will respond best to this procedure. The incisions required for speedy results with accelerated orthodontics are minimally invasive, and the outpatient procedure is performed in our office with localized anesthesia. Our doctors will also provide gum and bone grafting treatment as needed. It is possible that minor discomfort may be felt for a few days after the initial procedure; however, accelerated orthodontics usually causes much less discomfort than treatment with conventional orthodontics. Your comfort is our top priority, and should you experience any discomfort, please let us know immediately so that we can provide you with relief.